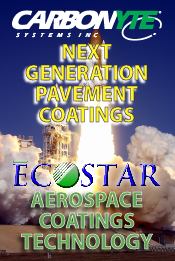 Aerospace Coating Technology... and you. We at Carbonyte Systems Inc. are dedicated to providing our customers with the best service, materials and equipment at fair and marketable prices while continuing to improve on the current technologies. 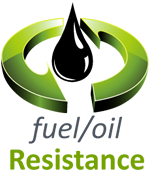 We are constantly striving to improve the Pavement Maintenance Industry with innovation in design and application. We use the most sophisticated equipment and experienced personnel to develop and expand the latest technologies in and outside the pavement industry. 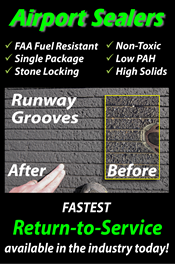 The Space Travel industry brought an excitingly innovative and new technology called the “Carbonyte Process™.” As we continue to develop the technology of the Carbonyte Process™, we continue to look for other technologies and resources that can benefit the pavement industry.